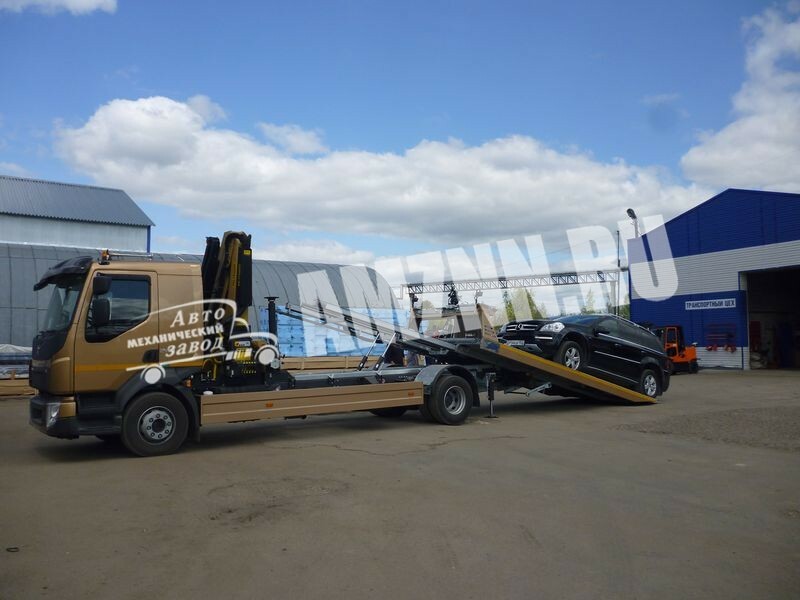 These breakdown trucks are used for the recovery of cars, the recovery process itself is not presupposed to be too complicated. 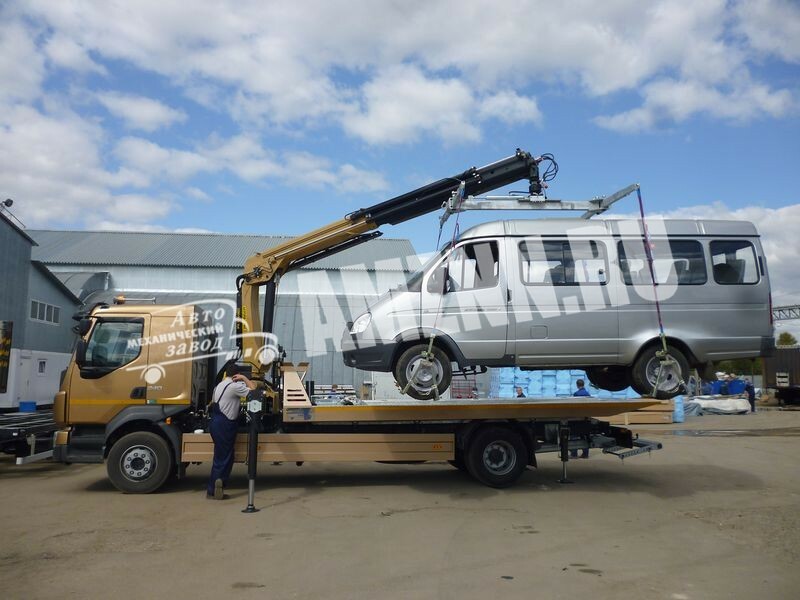 The loading of the automobile is carried out via an electric winch equipped with a remote control, the car is pulled onto the recovery platform on attached or sliding access ramps. 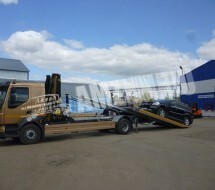 The design permits to load automobiles of various dimensions. 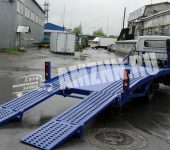 If needed there may be applied access ramps of different lengths allowing to load even a sports car. 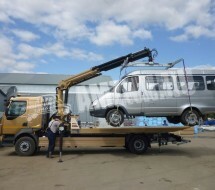 The fixing of the car is performed via an installed winch, wheel rests and tightening straps. 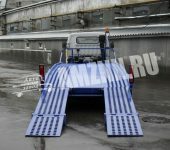 All the metal body may be hot dip galvanized that ensures a secure rust protection in severe Russian road conditions. 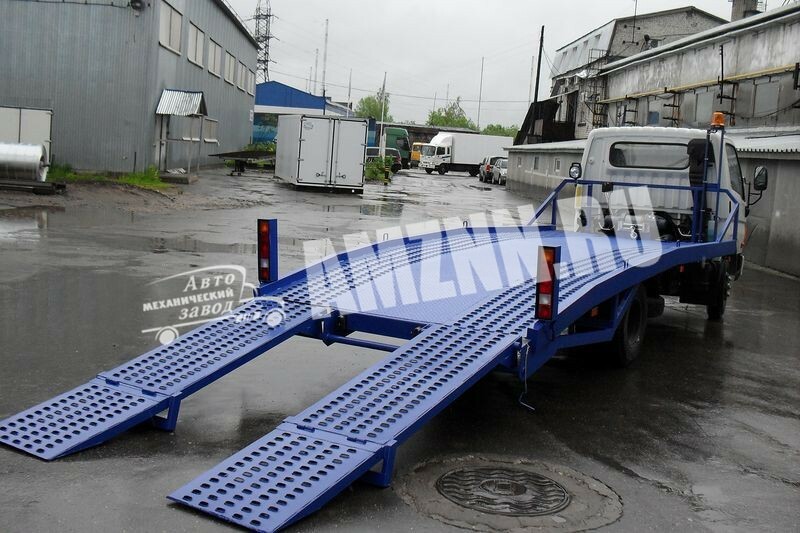 A new design provides a low mount angle thus cars with a low clearance may be recovered. 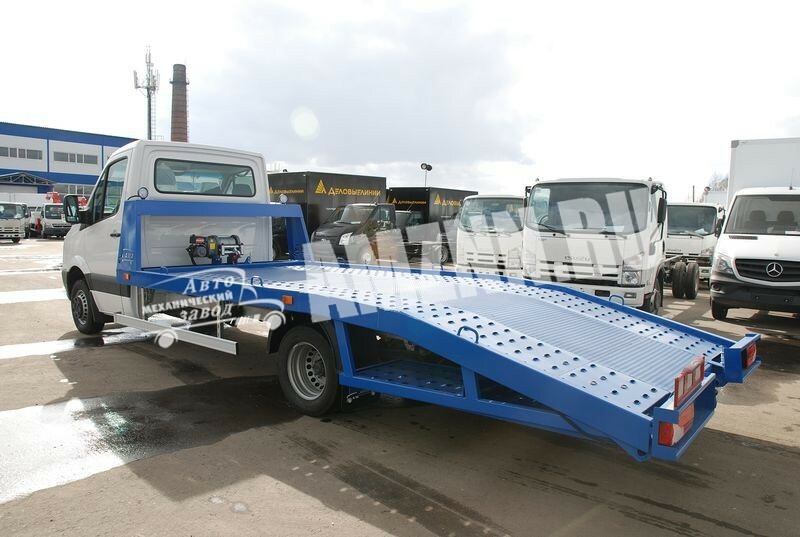 An increased load capacity thanks to the reducing of the body weight. The material used in the production of the platform supporting elements is high-tensile alloyed steel. Flexible high-pressure tubes are laid in a bendable cable-channel that prevents any damage and ensures a secure mounting. There is provided an anti-slip cover on the central part of the platform. 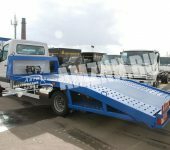 The sliding and lifting of the platform is performed by hydraulic cylinders simplifying and shortening the lifting procedure. 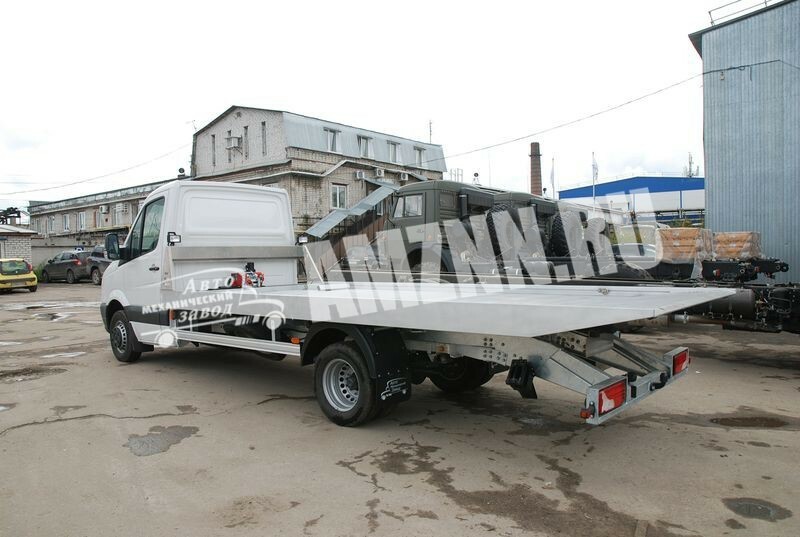 Safety is guaranteed by rear outriggers hydraulic cylinders with a possibility of autonomous lowering. 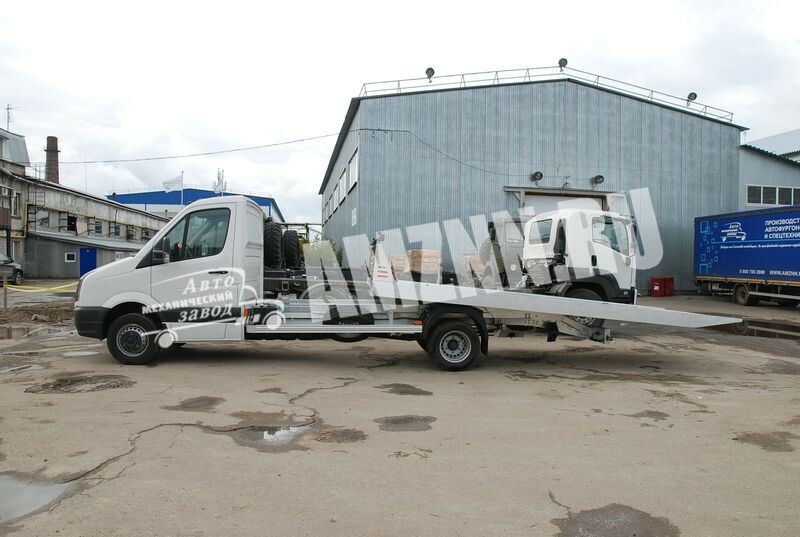 The benefit of this type of a recovery truck is that the broken car may be loaded whatever its technical state or position / configuration of the wheels is. 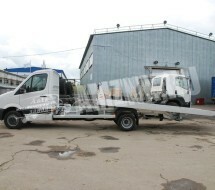 You are most welcome to order such a truck in our company. 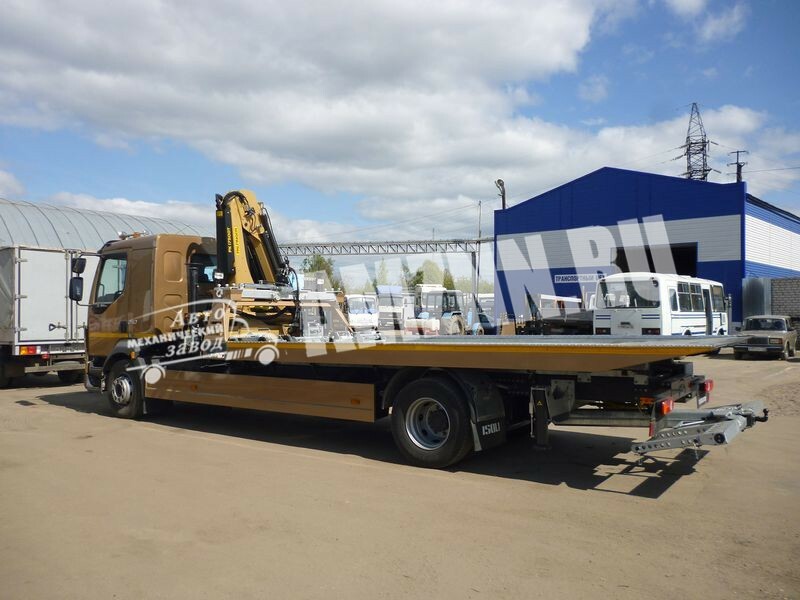 Depending on the chassis the recovery truck may be equipped with various types of cranes so that the end product might have a most wide application. 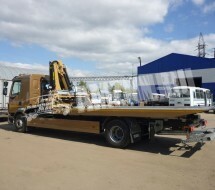 The installation of the crane on the chassis is implemented with the use of imported (mostly European) components. 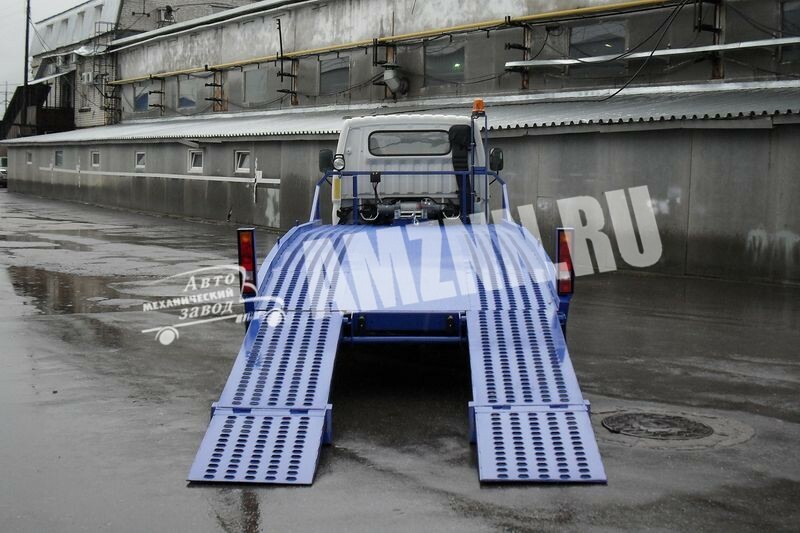 Upon a client’s request the sliding platform and the subframe undergo a procedure of hot dip galvanization. 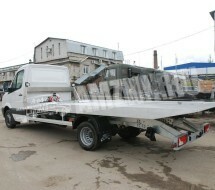 This enhances antirust properties and expands durability of the recovery truck.